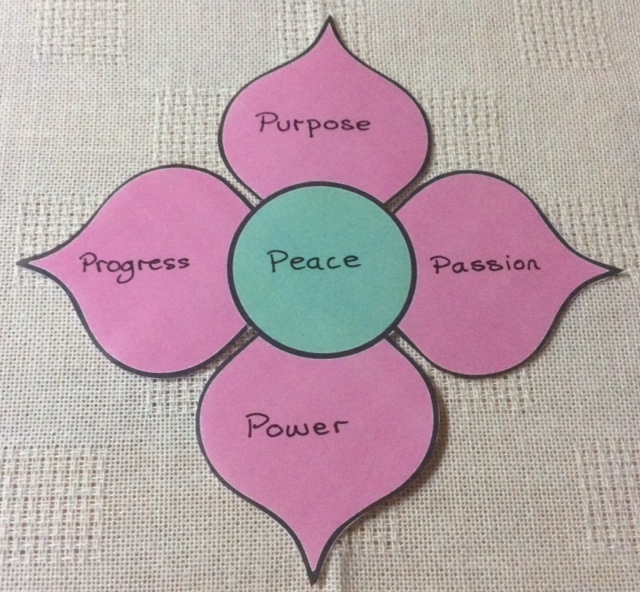 In six one-to-one coaching sessions, on Zoom video-conferencing, we will follow the path of unfurling the petals of the Dare to Blossom Power Flower. This is also described within the 'Compass Rose Speaks' meditation, and I am in the process of morphing the two together. We begin by offering you the time to reflect and ground yourself in you centre point, in Peace. During each call you choose how you would like to use the processes I offer. Maybe I will draw some cards for you, usually three. Maybe you will also choose to be taken on a guided visualisation, a Magic Carpet Ride. There will be plenty of time to hear yourself think in a quiet, safe space. You will leave each call with some new insights and perspectives, and some small steps to take you forwards. In the following sessions, we will continue to unfurl each petal, one at a time: Purpose, Passion, Power, Progress. Completing the cycle by returning to your centre point, to Peace. If you are interested, and would like to book or have any questions, contact me here or pop over to my scheduling page here, and book a complimentary consultation. Then we can chat on Zoom video-conferencing over a cuppa and you can decide if this is right for you. Ready to get started now? You can choose to pay as you go, or receive a 10% discount by paying for the programme in advance. As well as the one to one conversations on Zoom video-conferencing, you will receive a recording to enable you to listen again - to truly hear yourself speaking your inner wisdom. I also supply an email with anything I feel is useful such as contacts, references or exercises from my large 'toolbox' collected over many years. The investment for you is this £45 per half hour session, £90 per one hour. Advance payment for the block of six half hour sessions = £243, six one hour = £486. If you prefer to pay by bank transfer, please contact me to set this up. Live a life you love: start now, start here. If not now, then when?